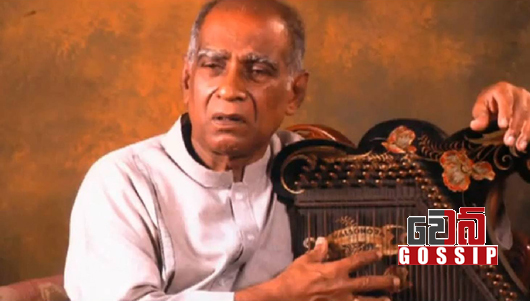 Veteran singer and musician Pandith W. D. Amaradewa, who was admitted to the Sri Jayawardanapura Hospital this morning following a heart attack, passed away a short while ago, the hospital sources confirmed. 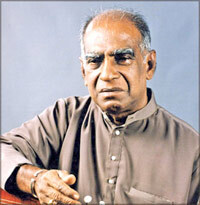 Wannakuwatta Waduge Don Albert Perera, known by his adoptive name Amaradeva was a vocalist, violinist and composer. Born in December 5, 1927, he is considered to be the creator of a unique music style which was later practiced by artists like Victor Ratnayake, Sunil Edirisinghe and Sanath Nandasiri. A recipient of numerous awards, Amaradeva won the Ramon Magsaysay Award (2001), Indian Padma Sri Award (2002) and Sri Lankan "President's Award of Kala Keerthi" (1986) and the Deshamanya Award (1998). He has represented Sri Lanka in many forums including the UNESCO Manila Symposium in 1967. Pandit Amaradeva composed the music for the Maldivian National Anthem (Gaumii salaam) in 1972 at the request of Maldivian Government.